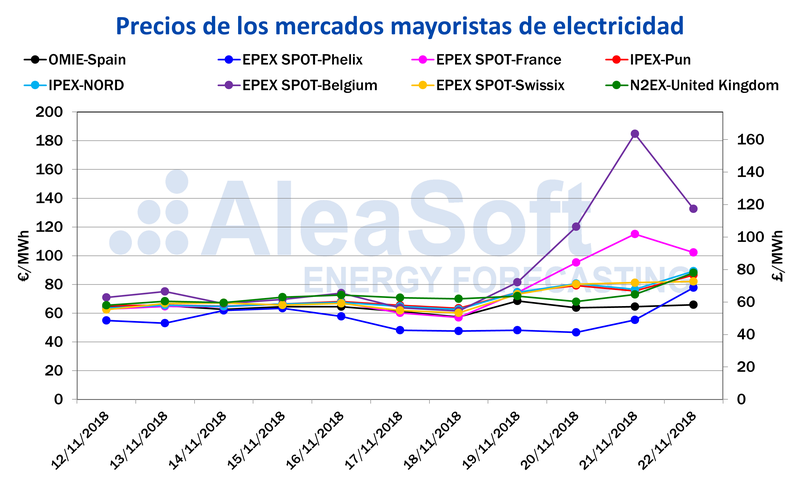 AleaSoft, November 22, 2018. 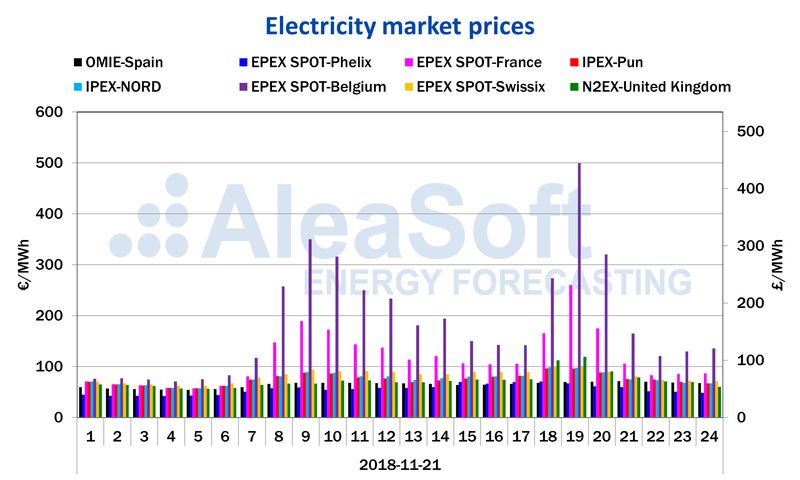 The cold snap that is sweeping the European continent is leaving record prices in the main electricity markets, prices that were not seen since the winter of 2016-2017. 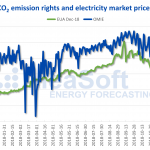 In France and Belgium, the situation has been aggravated by the state of affairs of their nuclear plants. 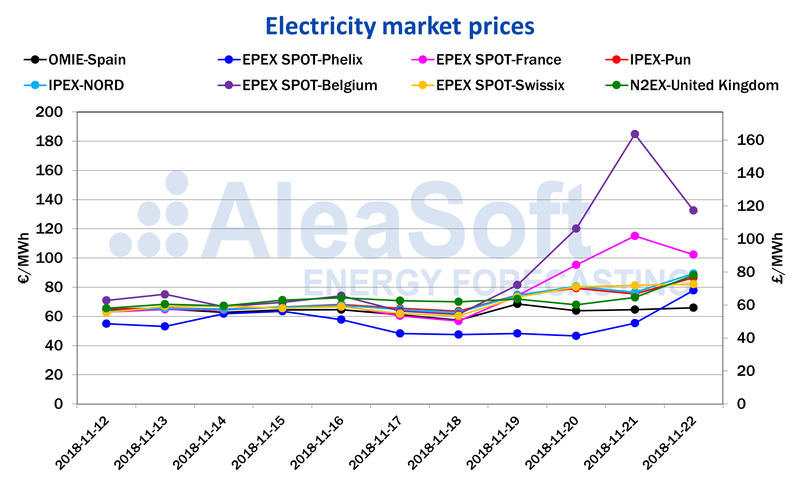 Sources: Prepared by AleaSoft using data from OMIE, EPEX SPOT, N2EX and IPEX.